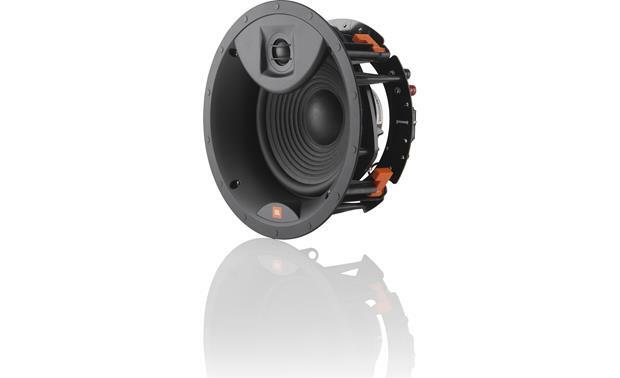 If you're looking for fantastic in-ceiling audio performance with a stealthy footprint, check out JBL's Arena 8IC. 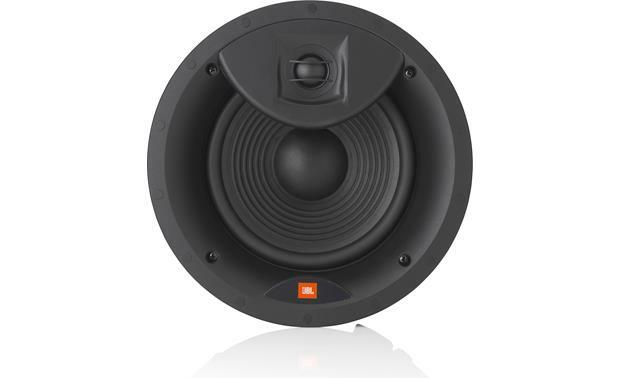 If you're looking for fantastic in-ceiling audio performance with a stealthy footprint, check out JBL's Arena 8IC. Put a pair in rooms where you want to enjoy big stereo sound without taking up any floor space. Or even use them for your home theater's surround or overhead channels. You'll enjoy full-bodied bass response from the 8" woofer, and smooth highs from the 1" silk dome tweeter. 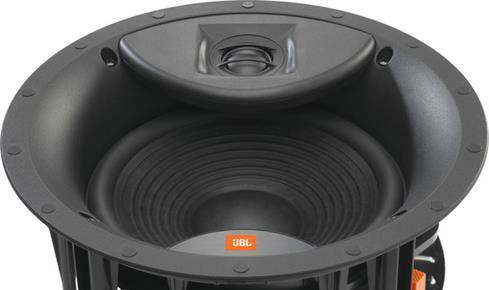 JBL's unique woofer and tweeter design provides detailed sound for TV, movies, and music. The 8IC combines detailed performance with a sleek design. The low-profile grille is magnetic, so attaching it to the speaker is a breeze. It's also paintable, so you can match it to your room's decor. 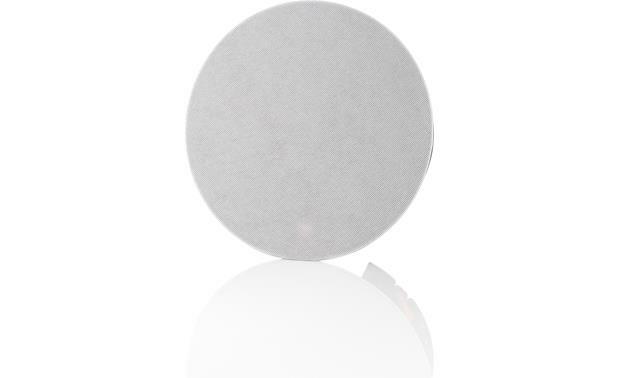 The zero-bezel edge means no bulk around the sides of the grille, making it virtually disappear into your ceiling. JBL's rotating-cam design makes your in-ceiling installation go smoother. Once you have the 8IC in place, simply use a screwdriver to tighten each cam for a secure grip against the back of the ceiling material. If this is a do-it-yourself installation, check out our guide to installing in-wall and in-ceiling speakers, along with our selection of in-wall speaker wire. Free lifetime technical support is provided with every Crutchfield purchase. Two-Way Driver Design: The JBL Arena 8IC in-ceiling loudspeaker utilizes a two-way driver design with a single 1" silk soft-dome tweeter and a 8" polycellulose long-throw woofer with rubber surround. 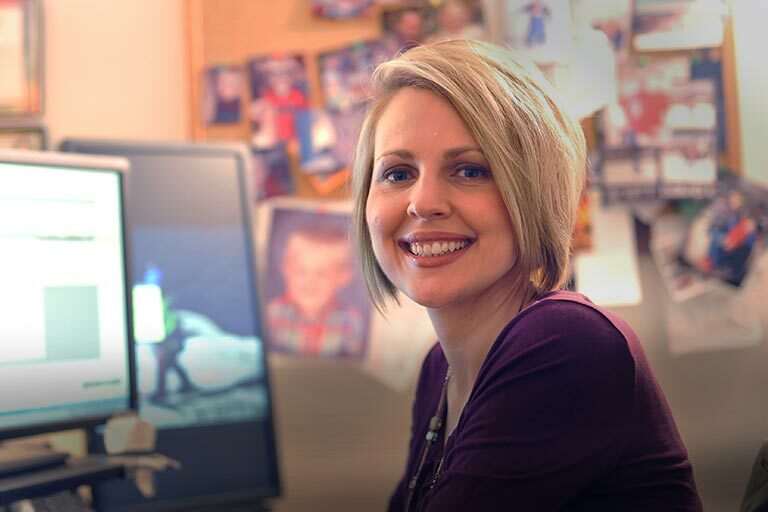 Computer-optimized driver positioning and a precision crossover network result in ideal performance and lifelike soundstage imaging. 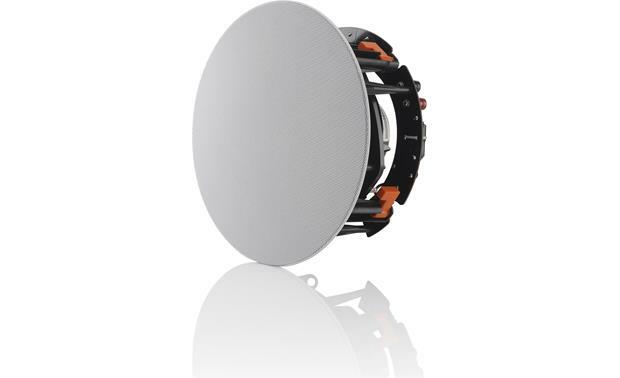 High Definition Imaging (HDI) Waveguide: The JBL Arena 8IC in-ceiling speaker's tweeter incorporates a High Definition Imaging (HDI) Waveguide. This High Definition Imaging (HDI) waveguide technology takes its cues from the legendary JBL M2 Master Reference Monitor. The HDI waveguide aids in the tweeter's ability to produce a lifelike soundstage with accuracy and clarity. In-Ceiling Installation: The JBL Arena 8IC in-ceiling loudspeaker offers a sturdy, reliable installation design that fits ceilings from 0.5" to 2" thick. Specialty locking clamps secure the in-ceiling speaker in place and are designed to minimize vibration. There needs to be at least 1" between the edge of the supplied mounting template and any rafters or other obstructions behind the ceiling, so the speaker's locking mechanism will have room to engage fully. 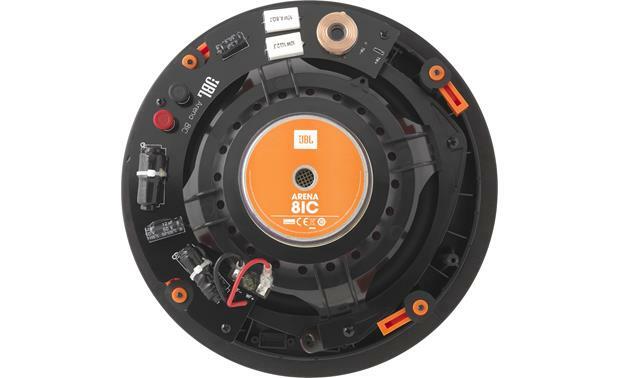 Spring Post Terminals: The JBL Arena 8IC in-ceiling speaker is fitted with a set of spring-post terminals which will accept bare-wire (up to 10AWG), pin-connectors, and banana plugs (single or dual). The spring-post terminals are gold-plated for maximum signal transfer and resistance to corrosion. Applications: The JBL Arena 8IC in-ceiling loudspeaker is engineered for the custom installer with a whole-house, seamless audio and visual design in mind. In addition to distributed whole-house audio, the Arena 8IC in-ceiling speaker can also be used in more conventional stereo & home theater applications. JBL Arena Series: The Arena 8IC in-ceiling speaker is part of JBL's Arena series of loudspeakers, which includes floorstanding speakers, bookshelf speakers, a center-channel speaker, a powered sub, as well as in-ceiling and in-ceiling speakers.